Sultan Bin Mishal’s Saham, the Jefferson Cup (Grade III) winner who finished second in last month’s Hawthorne Derby (GIII), has been installed as a mild 4-1 morning line favorite for Friday’s 12th running of the $100,000 Commonwealth Turf at Churchill Downs, which features a competitive cast of 13 3-year-olds. The 1 1/16-mile grass race for 3-year-olds is the final graded stakes race of the year on the Matt Winn Turf Course, and is the precursor to the track’s traditional “Black Friday” feature, the $500,00 Clark Handicap Presented by Norton Healthcare (GI). 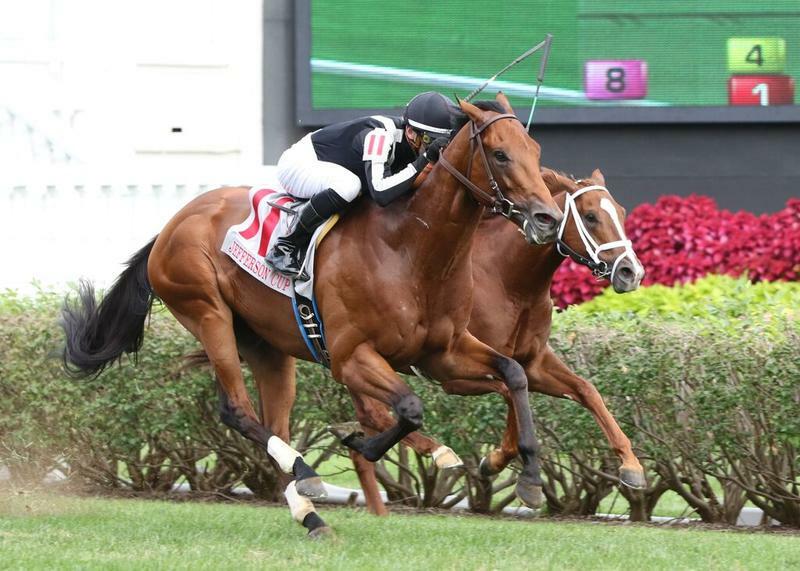 The 11th running of the $80,000-added Dream Supreme, an overnight stakes for fillies and mares at six furlongs, also will be run on the 12-race Clark undercard. Friday’s first race is 12:40 p.m. (all times Eastern) with the Dream Supreme set as Race 9 at 4:25 p.m., the Commonwealth Turf as Race 10 at 5:05 p.m. and the Clark as Race 11 at 5:35 p.m. 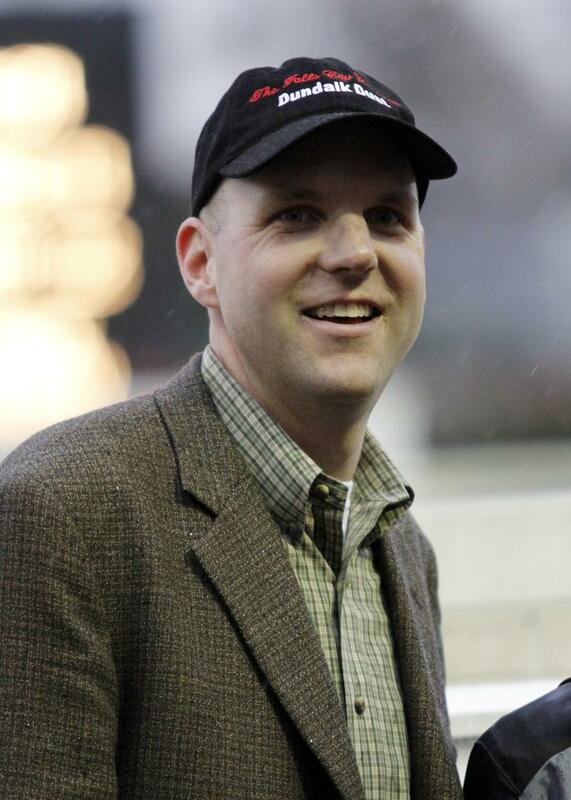 The final race of the day is scheduled for 6:03 p.m.
Saham, one of two graded stakes winners in the field, has finished first or second in five of his nine starts this year for trainer Brendan Walsh. 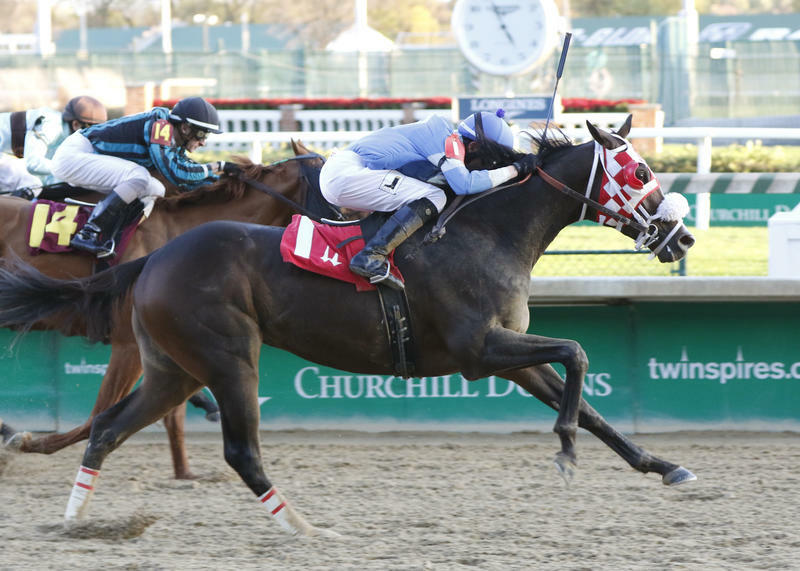 The dark bay colt rallied from the back and finished with a rush to win the $100,000 Jefferson Cup over one mile on Churchill Downs’ turf course in September. The Pennsylvania-bred son of Lemon Drop Kid was no match for winner Lucky Lindy in the Hawthorne Derby on Oct. 17, but once again showed his nice closing kick in the late stages of the 1 1/8-mile turf race to get second by a head over fellow Commonwealth Turf entrant Nun the Less. Overall, Saham has won three of his 11 starts and $195,406. 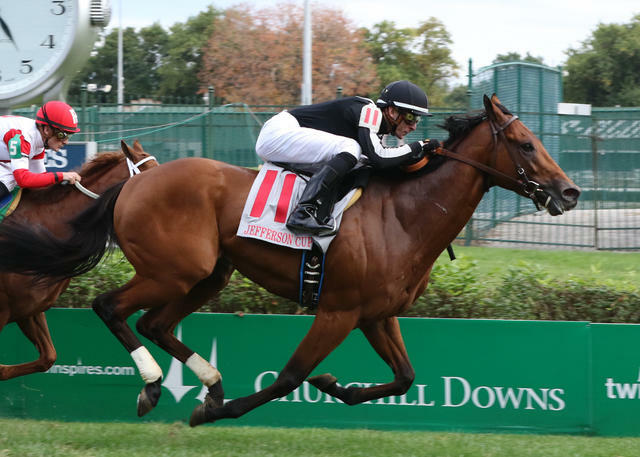 He’ll start in the Commonwealth Turf from post 12 under Joe Rocco Jr.
Flaxman Holdings Ltd.’s Nucifera, the Graham Motion-trainee who fell nearing the three-eighths pole in the Hawthorne Derby but walked off the course unassisted, returns as the 5-1 second betting choice. Prior to the Hawthorne Derby, the More Than Ready colt finished third in Saratoga’s $98,000 Better Talk Now – his first race in the U.S. after beginning his career in France. Others expected to take betting action include Preston Stables LLC and Prestonwood Racing LLC’s One Go All Go, Laurel Park’s front-running, upset winner of the $400,000 Commonwealth Derby (GII) who gets the riding services of Julien Leparoux; Lothenbach Stables Inc.’s Nun the Less, Canterbury Park’s $200,000 Mystic Lake Derby winner who was third in the American Derby (GIII) and Hawthorne Derby (GIII) for trainer Chris Block; and Indiana Grand’s $206,000 Centaur runner-up and Penn Mile (GIII) third Granny’s Kitten, who joins Wayward Kitten as a Commonwealth Turf entrant for Churchill Downs’ perennial leading owners Ken and Sarah Ramsey. One Go All Go, Nun the Less and Granny’s Kitten are 6-1 on the morning line. The complete Commonwealth Turf field from the inside out (with jockeys and morning line odds): Nucifera (John Velazquez, 5-1); Keeneland maiden winner Czar (Mike Smith, 20-1); first-level allowance winner Almasty (Jon Court, 8-1); Keeneland second-level allowance winner Quality Bird (Chris Landeros, 10-1); Jefferson Cup (GIII) and Bryan Station third Wayward Kitten (Ricardo Santana Jr., 10-1); first-level allowance winner Bullards Alley (Marcelino Pedroza, 30-1); Indiana Grand’s $150,000 To Much Coffee Stakes winner Bucchero (Shaun Bridgmohan, 30-1); One Go All Go (Leparoux, 6-1); Nun the Less (Robby Albarado, 6-1); first-level allowance winner Magic of Believing (Corey Lanerie, 20-1); Granny’s Kitten (Martin Garcia, 6-1); Saham (Rocco, 4-1); and first-level allowance winner Obsidian Splendor (Carson Sullivan, 12-1). Scarlet Stables’ House of Sole, an impressive 3 ½-length winner of a second-level allowance at Keeneland on Oct. 29 for trainer Roger Brueggemann, is the 5-2 choice in the six-furlong Dream Supreme. The field of nine fillies and mares entered (with jockeys and morning line odds): House of Sole (Ricardo Santana Jr., 5-2); Willow Hills (Albin Jimenez, 8-1); Pearl Turn (Martin Garcia, 12-1); Spring Included (Joe Rocco Jr., 9-2); Super Saks (Robby Albarado, 8-1); Shanon Nicole (Brian Hernandez Jr., 12-1); Miss Melinda (Shaun Bridgmohan, 5-1); Milam (Corey Lanerie, 4-1); and White Clover (Julien Leparoux, 10-1).